* Versions disponibles: 6243 - Usagé, tous les jeux à disque et tous les jeux de consoles portables viennent avec leur pochette. 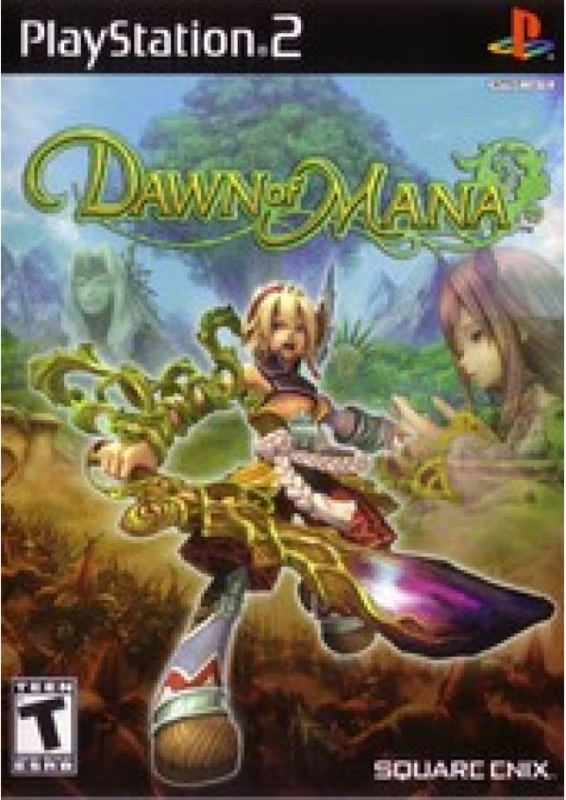 Dawn of Mana, as the title suggests, focuses on the origins of Square's Secret of Mana action RPG series, touching upon the genesis of both the Mana Tree and the Sword of Mana. The game takes place on the once idyllic island named Illusia, where the life-giving Mana Tree has dried up and turned to stone. In desperate need of a hero, Illusia calls upon one of its own to save the land from a dire threat. Players will guide this young warrior on an epic quest that will have them adventuring across a completely 3D world for the first time in the series. From majestic plains to towering mountains, the interactive environments in Dawn of Mana offer an assortment of places to visit, characters to meet, and creatures to battle. The combat system once again unfolds in real-time, with players able to jump, slash with a sword, fire projectiles, and even swing a whip that can attach itself to objects.